Did Facebook cross the line when conducting human behavior social experiments last year? I think so. When conducting scientific research on human subjects investigators are held to very high standards. Currently there is global outrage over the experiment and government regulators from several countries are currently looking into the matter a bit more closely. As I described in my blog a few days ago, Facebook recently published a paper in the Proceedings of the National Academy of Science reporting on a study that they conducted in September 2013. In this study, researchers purposefully manipulated the News Feeds of randomly selected users in order to determine effects on mood and emotion. None of the subjects were aware of the experiment and none had provided specific informed consent. How can we avoid situations like this in the future? Obviously, with the Facebook situation, public outrage and potential regulatory action by governments in many parts of the world may help limit these types of activities by social media platforms in the future. Currently, several countries including both the US and many throughout Europe are discussing ways to limit privacy incursions such as the Facebook experiment in the future. Unfortunately, the utilization of data by large social media platforms and organizations may not be the biggest threat to you and your privacy. Hackers and other criminals are grabbing data from consumers–without their knowledge–from mobile devices such as tablets and smartphones. These devices are placed in the hands of children, and often lie around the house and are frequently left “on” and unattended. One inventor from New York City–Michael Sorrentino– has created a new device that can help keep you, your family and your data a little safer. 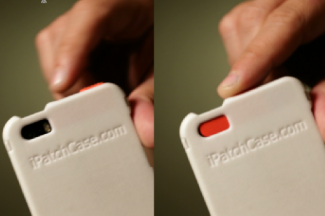 Called the iPatch case, this device may change the way you think about your mobile device and its self contained camera. Hackers and other criminals can actually utilize your own smartphone camera to take pictures of your home or office and can even build a 3D model of your house. This can result in identity theft, theft of real property or utilizing your images without consent for whatever purpose the criminals deem necessary. Disguised as a harmless camera application that is often downloaded, these programs can access your camera and obtain images without your knowledge or consent. Other malware programs have been developed and innocently disguised as harmless games or apps for download. Software has been developed (and sold by hackers for less than $50 dollars) that can infiltrate your device and control your cameras–stealing sensitive documents, creating models of a home or office or even snapping shots of your children. The device–called the iPatch is now in development. 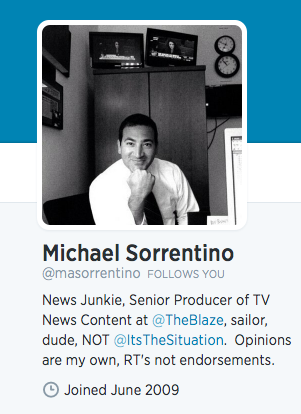 Mr Sorrentino is currently working on the prototype and will be marketing the device once produced. WIth the iPatch device one flip of a switch will cover and eliminate photo functionality from both the front and back camera of your smartphone. The device is being developed through crowd-sourcing efforts and is expected to enter production this year. Mobile technology is changing the way we interact and how we share information. Issues such as the Facebook “experiment” should give us all pause to consider our safety as we continue to embrace social media, mobile technology and information sharing. In the future, innovations such as the iPatch are likely to continue to emerge and will ultimately provide us with more options for staying safe while staying engaged and connected in our busy technology driven lives. Most importantly, as parents, we must set good “mobile behavior” examples for our children and take measures to improve the security of our devices and our information. Social Media is embedded in the fabric of our lives–and this is a good thing–we must, however, take care to continue to be vigilant and protect ourselves and our families from the new world of cyber-crime. Facebook, twitter and other social media platforms have become a hotbed of data for marketers, business and product development experts. In addition, social media has created a new way to observe and investigate some of the intricacies of human behavior and social interaction. Last week, a study conducted using Facebook users as subjects was published in the Proceedings of the National Academy of Sciences and reported this weekend by the Wall Street Journal as well as the New York Times. This study, while interesting, has raised a new debate on the ethics of using social media users in social experiments without their consent. While Facebook claims that they have all rights to perform such experiments under their terms of engagement–that all users sign when they create a Facebook account, many Facebook loyalists are upset and feel as though they have been manipulated and violated. As an academically trained Cardiologist at Duke University and now faculty at the University of North Carolina, I have had a great deal of experience in medical research throughout my career. There are basic principles and rules that must be applied when designing and conducting any investigation involving human subjects. All scientific research on human beings requires informed consent. In the University setting, we have Institutional Review Boards that provide oversight to any human experimentation–these boards function to protect the rights, safety and privacy of patient subjects. When researchers manipulate variables and look to examine results, patients can be affected–either positively or negatively. 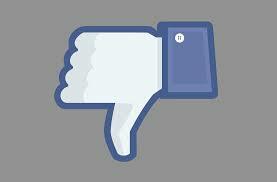 There has been a great deal of outrage over the recently published Facebook experiment. Many debate whether or not Facebook has crossed ethical lines by performing a study involving manipulating variables without the consent of the user. While the attorneys at Facebook will argue that its users give blanket consent to research under their terms of service– I believe that the rules that all of us must follow in any type of human experiment should apply. Social media and networking is now a part of everyday life and spans all age groups–all of us are affected in some way. This recent report is no surprise–We have known that Facebook and other social media outlets have gathered data on users for years. Google and Yahoo have certainly utilized data obtained from individuals search preferences in order to promote advertising of certain goods and services on their homepages. In fact, Facebook has an entire data science team that is given the job of collecting and analyzing data from nearly 800 million users worldwide. In the latest investigation, researchers set out to determine if the content of posts on a user’s newsfeed could influence mood. For one week in January 2012, the accounts of over 600K randomly selected users were manipulated by the research team. According to Facebook executives, the identities of the individuals in the study group were blinded and no personal information was shared. What they found was impressive–users whose news feeds were flooded with more negative postings tended to produce more negative content themselves and those users whose newsfeeds were flooded with positive and inspiring news predominantly produced more positive content themselves. Previous research in the area of emotional contagion seemed to indicate that in order to pass on a mood or emotion, in person contact and non verbal cues are required. After conducting the Facebook experiment, the authors concluded that now emotion and mood can be passed on in an online environment without any in person contact at all. Moreover, emotions shared on social networks can provide a system for large scale spread to millions simply as a result of negative or positive posts by others. While this information is interesting and potentially quite useful to the both the business and scientific communities, this utilization of human subjects as “emotional guinea pigs” without informed consent has created outrage among many throughout the internet. Manipulating the emotions of Facebook users within the framework of this experiment has been seen as an abuse of trust by many who are engaged in social networking and calls into questions the ethics of social experimentation via online platforms. Beyond the ethical considerations that this type of investigation raises, I believe that this study actually may provide a very important message to those of us who utilize social media in medicine. Social media is a powerful tool that allows us to communicate ideas, describe new technology and treatments and disseminate information. This communication can be quite broad and the audience can be rather diverse–patients, colleagues and industry leaders. As physicians, our voices can be heard well beyond our respective institutions and social media allows us to reach broadly. Because of this reach, and the power of social and involves We must remain positive and hopeful. Our words can greatly influence the outlook of those who read our blogs, follow us on twitter and check our Facebook postings. We must inform, discuss and improve awareness. We must remain positive in order to continue to inspire those who look to us for their care. The issues raised by the recent Facebook study will need to be addressed. Going forward, social media users, as well as those that manage major online networks such as facebook, twitter and YouTube (and others) must decide how and when to conduct social networking experiments in a way that provides both useful data and also protects the privacy and rights of those involved in the experiment itself. Patient engagement is critical to success–particularly in treating chronic medical conditions such as heart disease, diabetes and asthma. In this era of healthcare reform and cost-containment we must now, more than ever, rely on patient participation in their own care. Studies have shown that when patients play an active role in the management of their disease, hospitalization rates and complications are minimized. Examples of “engagement” include daily recording of blood pressure and heart rate, blood sugar logs, daily exercise logs, and the like. Engagement requires that patients not only partner with their physicians during office visits but take individual responsibility for their own healthcare—showing up three times a year as a passive participant in the office visit is not nearly enough. This week in the Wall Street Journal, author Laura Landro explores the issues surrounding patient participation in management of chronic illnesses. In her piece, Ms Landro uses chronic kidney disease as an example of how patient engagement and strict adherence to a physician’s recommendations can make a difference in outcomes. Exercise, dietary changes and monitoring of blood pressure can make a significant impact on kidney disease and, in many cases, slow progressing to kidney failure for many years. However, this type of intervention only works when the patient and physician are “partnered”. With increasing workloads and more clerical demands, physicians are not able to reach out to patients as often as they would like between formal visits. Through patient engagement, however, we have the potential to bridge the gap between visits. As Ms Landro points out, one of the biggest challenges is in “getting the word out” to patients. Most patients lack disease specific education and are not sure how to go about “at home” management. Moreover, with increasing patient volumes and less time available to spend with each patient in the office, many physicians are not able to adequately educate patients during a quarterly office visit. What is the solution? How can we educate more patients effectively? For me, the answer is simple. Let’s use the tools we have that are easily accessible to most patients. Today, more than 60% of all Americans own a smartphone or other “connected” mobile device. Most households have at least one computer. While today’s children are “born” understanding and interacting with the computer and mobile world, older Americans are also becoming more tech savvy. Social media and the virtual world lend itself perfectly to helping support patients as they engage in the co-management of their own diseases. Virtual health coaching and support can be the way in which we support patients between “real time” office visits in the future. Applications for smart phones such as Lift can be an essential part of engagement and ultimately may become part of routine patient care activities. 1. Twitter: Twitter can be a great way to conduct “disease-specific” chats–engage patients virtually with regularly scheduled group events identified by a specific hashtag. A physician or other healthcare provider can serve as a moderator for the chat. This is a great forum for support groups, educational events and information exchange. As a legal side note, this is NOT an acceptable forum to provide specific medical advice or patient care. It is more about support, engagement and education. For patients it is a wonderful way to “check in” and track their progress in a supportive non threatening environment. For instance, a twitter chat amongst patients with kidney disease may involve an exchange of healthy recipes. By connecting with others (and likely a healthcare professional who is moderating the chat) the patient is supported and remains engaged during the time between real live office visits. 2. Blogging: Regular blogging can provide a wonderful resource for patients and their families. Disease specific blogs may provide nutritional advice, exercise tips, and help disseminate important information about drugs and disease. Blogging can help educate and inform patients–as Ms Landro correctly points out in the WSJ education is a major reason that patients sometimes fail to engage. Thru regular posts (by physicians, nutritionists, exercise physiologists, etc) a broad range of topics can be covered and the patient is provided with the tools they will need to succeed. 3. Facebook posts: Maintaining a “Disease-Specific” Facebook page for patients is another outlet for successfully educating patients and disseminating information between office visits. These pages can be a great place to post pictures of interesting recipes or provide information on new therapies for a particular disease. As with Twitter, clinicians must take care to provide information only and NOT use it as a platform for discussing privileged medical information or for providing treatment. 4. Prescribing Apps: As I have discussed before in previous blogs, applications for mobile devices are likely to play a major role in disease management in the future. There are already numerous applications available for tracking blood pressure or blood sugars. These applications are a wonderful way to store data and share the data with physicians during a live quarterly visit to the clinic. The physician is better able to track progress and the engaged patient is able to see real change. In fact, Lift has developed an app that is specifically designed to help patients achieve health related goals and is in the midst of a large diet tracking and comparison project called the quantified diet. Recently, there has been a great deal in the press surrounding organ transplantation. Sara Murnhagan, the courageous little girl with end stage cystic fibrosis, captured the nation’s attention as she waited for a life saving lung transplant. The organ transplantation and procurement system in the US today is not without flaws. Organs are at a premium and finding the best way to allocate them to matched patients who need them the most is a daunting task. Today, nearly 120,000 people (men, women and children) are actively waiting for organ transplantations and are listed on the UNOS. However, only 29,000 organ transplants were performed in 2012. Obviously the demand far exceeds the supply for suitable organs for patients who need transplantation for survival. Paradoxically, 90% of Americans say that they support organ donation but only 20% have taken the necessary steps to be a donor. The rate of registered donors has remained static over the last twenty years while the numbers of those waiting for transplantation has increased 20 fold over the same time period. Researchers are actively engaged in clinical investigations designed to identify better ways to recruit potential organ donors. In order to improve the availability of organs for those in need we must find a better way to successfully register potential donors and allocate organs. In particular, certain groups such as minorities and children are poorly represented as registered donors. Our society today is more connected than ever. Social media outlets including Twitter, Facebook, and YouTube are easily accessible and widely utilized. In particular, Facebook is one of the most commonly visited websites in the world–second only to google. Facebook is often the first stop for those who begin their exploration of the world of social media. Facebook has become a great place to connect and to share ideas and news. In addition, Facebook has been a place to inform others of an important cause or event. Researchers at Johns Hopkins reported on a demonstrated effect of Facebook on organ donor registration rates. In the report, the rate of increase was nearly 21-fold in one day–this was a day in May 2012 when Facebook allowed users to make their organ donor status public on the site (and also provided easy links to DMV sites so that users could make their status official). On the first day that the new service was available on Facebook there were over 13,000 new DMV organ donor registrations–as compared to an average day where there are only 600 new registrations in a day. This enormous bump in organ donor registration demonstrates the power of social media to move people towards action in ways that can benefit others. Social media outlets such as Facebook are not only a great place to share pictures and reconnect with friends–they can be a new way to effect social change. In medicine, we have only begun to scratch the surface of the full potential of social media. It is imperative that physicians begin to interact virtually and engage fully in social media in order to effect change. As we have seen with the New York Stock Exchange, social media outlet such as twitter can move markets (reference the largest 3 minute drop in the Dow in history when the AP twitter account was hacked). WE must ALL work together to realize the untapped potential of social media in medicine–it can save lives–improve health–and even provide a large number of new registered organ donors. In the last few weeks there have been several articles published examining the behavior of physicians and other healthcare providers on social media outlets. Certainly, professionals must take care as to what is posted online–as I tell my 11 year old daughter–the internet is forever. Social media is now commonplace and smartphones and tablet computers make for almost unlimited access. Because of the ease of use and ubiquitous access to social media, these outlets can be a powerful tool for interacting with patients. As you might imagine because of visibility, the internet and social media outlets in particular, are another enormous area for potential regulation. Physicians are held to high standards for behavior both in and outside of the hospital (as they should be) and the cyberspace is no exception. In spite of the potential pitfalls of social media, I believe that reaching out to patients and colleagues via cyberspace is the future of medicine and will positively impact our ability to provide healthcare in the future.A recent study published in Archives of Internal Medicine in January identified high risk online physician behaviors to be avoided. As the authors state, there are no formal policies in place to address physician online behavior in most state medical boards. However, the intent of the Archives article was to identify behaviors that are likely to be considered violations of online professionalism. Many of the behaviors identified are just simply common sense–Physicians should not post pictures of drunken debauchery or make inappropriate, sexist or racist comments on social media outlets. In addition, physicians should never inaccurately present outcomes data, present false credentials, or post pictures without patient permission. Most certainly, physicians should not engage in non professional relationships with patients in cyberspace. A recent article on the NPR website published examples of tweets that are likely to get a physician in trouble with professional governing bodies. Yesterday in the Wall Street Journal, author Anna Mathews explores the controversy associated with physician-patient relationships on Facebook. In the world of social media, Facebook is the number one viewed website in the world. It facilitates connections between old friends and fosters new interactions. However, when physicians become active on Facebook, there is potential for both positive and negative impact. In a survey in the Journal of General Internal Medicine, researchers found that nearly 85% of all medical students are involved in social media sites–this suggests that the next generation of physicians will become increasingly more active and engaged with each other and with patients via sites like Twitter and Facebook in the future. Another survey found that while more than 80% of physicians who are active on Twitter and Facebook are likely to engage and interact with one another, less than 8% interact with patients via social media. However, for those that do use Facebook and Twitter to interact with patients, there are significant legal and ethical questions that arise. In an extreme example discussed in the WSJ article, one physician actually returns calls when contacted via his Facebook account. I worry that universal and unrestricted access to healthcare providers may blur the line between one’s personal and professional lives. In order to provide the highest quality care, physicians and other healthcare providers must also have some downtime–everyone needs to recharge and relax. Moreover, once a provider sets a precedent for interacting via social media with active patients (and establishes a doctor-patient relationship) a legal obligation to continue to respond in the same manner may be created. Just how deep does the rabbit hole go? I am an active social media user. I enjoy engaging other physicians and patients in cyberspace. I believe that social media is a powerful tool that medicine and physicians must embrace. However, I am careful in how I interact with patients and colleagues in the social media world. 3. Become a Key Opinion Leader–engage colleagues in discussions about current therapies, emerging technologies, etc4. Educate–Twitter, Facebook and Blogging are great ways to teach patients about health related topics of interest WITHOUT developing a doctor-patient relationship and giving patient specific device. Patients frequently turn to the internet for medical information. Social Media is the final frontier for the doctor-patient relationship. 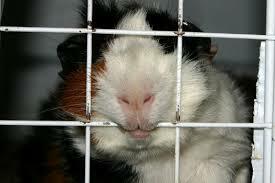 As physicians and healthcare providers we are held to high behavioral standards. In addition, legal considerations abound in medicine today and will continue to be an issue until our country addresses tort reform. As a profession, we must develop standards for online behavior based on good judgement and common sense. In addition, we must learn to embrace the power of social media and maximize its potential positive impacts on our patients and our profession.